Alaska, as popularly known, is a beautiful place. What’s not as popular is that it presents many opportunities to see things that are usually much harder to see in other places in the world – magnificent glaciers, northern lights, wildlife etc. I had a chance to experience these pleasures a couple of years back. The polite and gorgeous Matanuska Glacier near Anchorage. Matanuska is the largest car accessible glacier North America, which makes it something that many people can easily experience. This was my first ever rendezvous with a glacier in life and it was totally worth it. 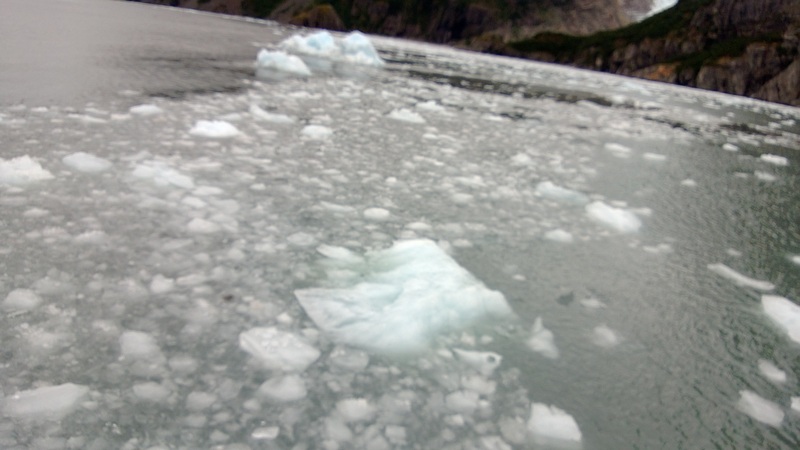 Kenai Fjords glacier was my second rendezvous with a glacier and boy it blew me away. 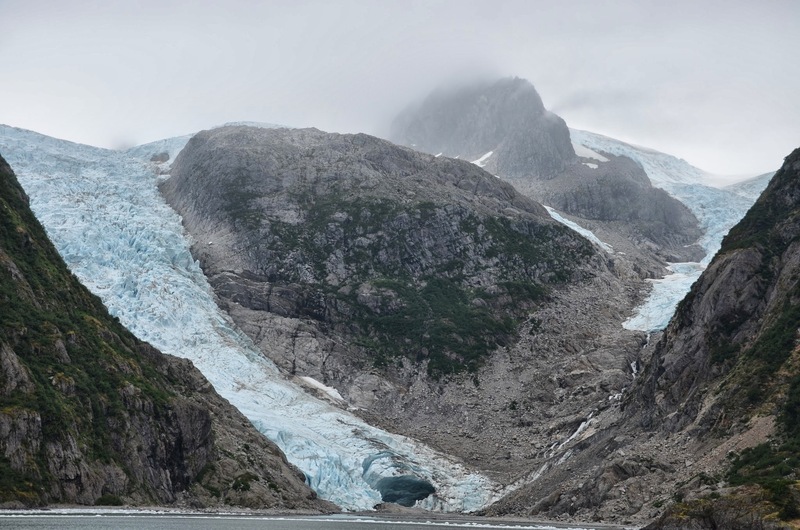 There are day cruises that take you to this tidewater glacier (one that flows all the way down to the ocean). I was personally just awestruck when I came face to face with it. It was big, it was blue and it took me a while for me to completely take the view in, even the sound that it made when ice slid down from the glacier was truly magical. 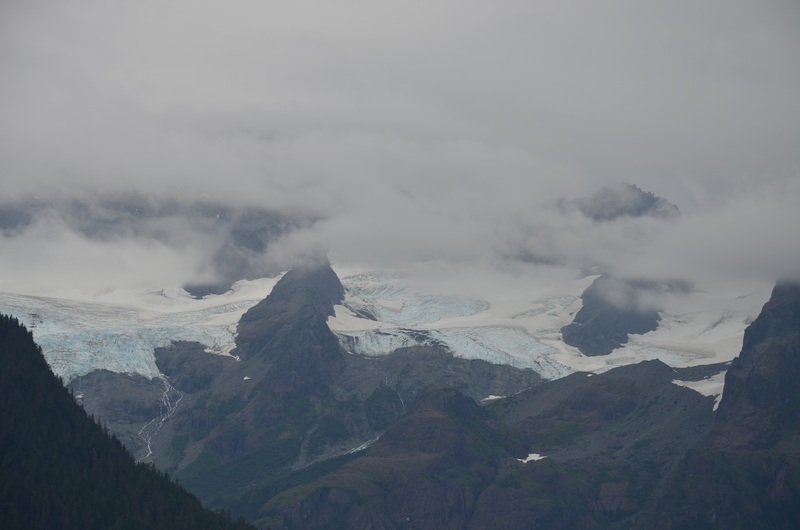 The views on the way to the glacier in Kenai Fjords national park itself is mind blowing. The colorful waters, the whales, the puffins and the rocks all fresh in my memory even after three years. Denali National park, home to many wildlife, including bears, dall sheep, Caribou, Moose and many more. And when I say it’s home to these animals, I mean it literally. Once I was inside the park, there was no shortage of sightings. I only wish (for the sake of readers here) that I had put effort in taking more pictures. (Never get out of the vehicle when taking pictures and never try to feed them. Feeding them is less kind and more deadly to these animals than we think). Ice museum inside Chena Hot Springs Resort north in Fairbanks. Everything in the museum is made of ice, including the glass of wine in my hand :). The 6 hour drive from Anchorage to Fairbanks (Denali midway), is serene with clouds accompanying throughout the journey. Good bye Alaska. I leave you but I leave a slice of my heart behind with you!! One could also see the northern lights in Alaska, which makes it even more lucrative to visit, especially to people who live in North America. I went there mid-august and wasn’t lucky enough to be blessed by northern lights then, but it’s not uncommon to see them in September. Why should you go to Alaska? -Go for the very easily accessible glaciers, go to see the northern lights in the winter, go to see the animals in Denali. The prominent feeling I had when I was in Alaska is this – I really didn’t have to look anywhere to see nature, it was everywhere around me. That feeling is something I don’t experience in many places. Above all, you should go to Alaska for that feeling. Awesome pictures and a great writing. Not often I see a detailed post on Alaska from my friends circle. 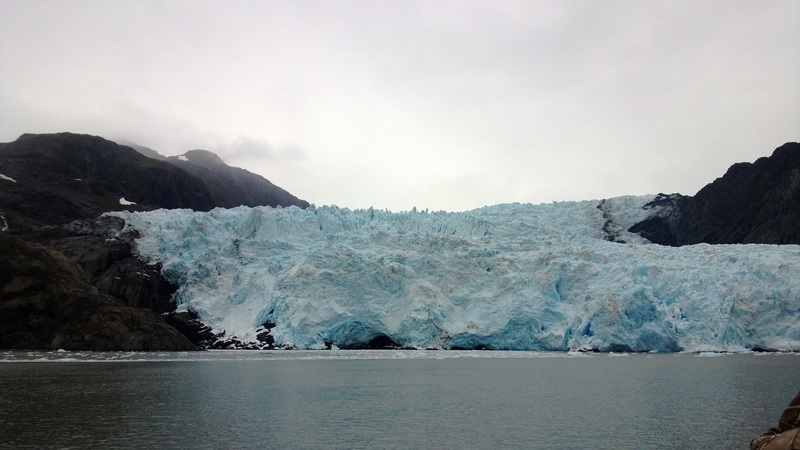 Very nice blog on Alaska! Jagan , u have become an expert in writing travelogue which make us to feel the locations and desire to visit!